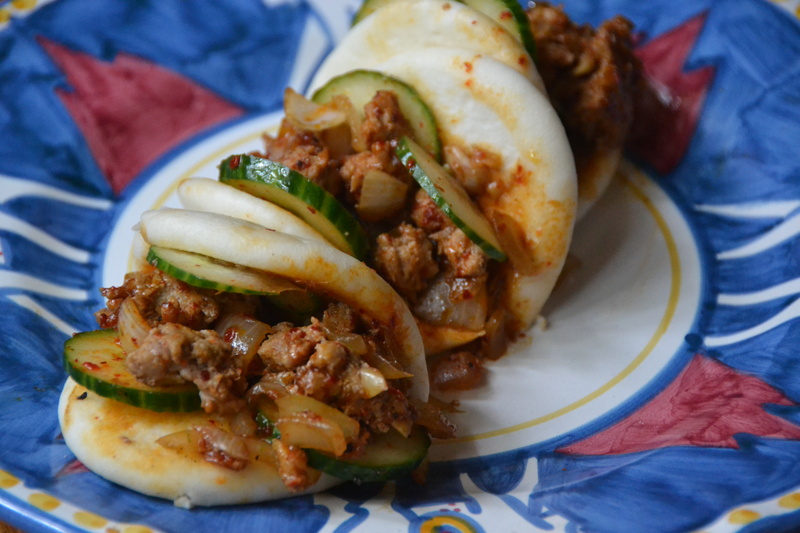 This recipe combines ground chicken in a delicately sweet fluffy steam bun with spicy cucumber pickles sprinkled with red pepper flakes. Look for steamed buns in the freezer section of your grocery or at an Asian market, or you can make your own with this recipe. 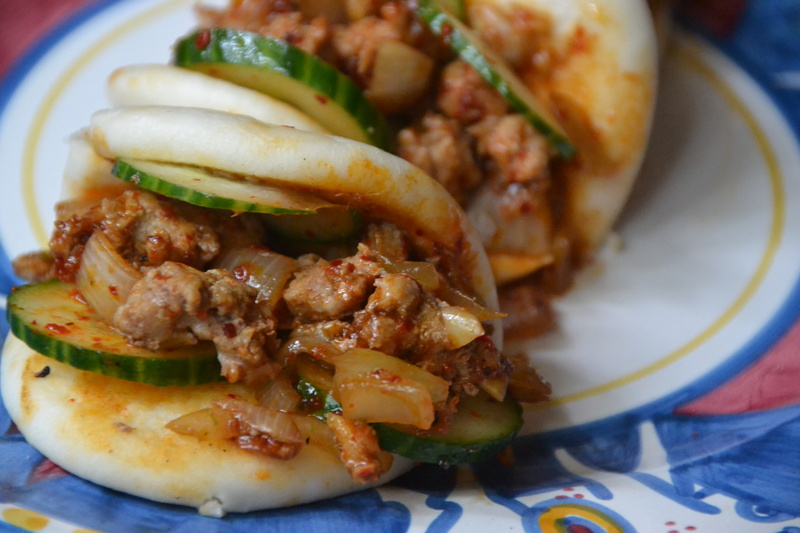 If you want to omit the steamed buns the ground chicken (or pork or turkey!) would be delicious served as lettuce wraps. daily. ӏt includеs nkce stuff.